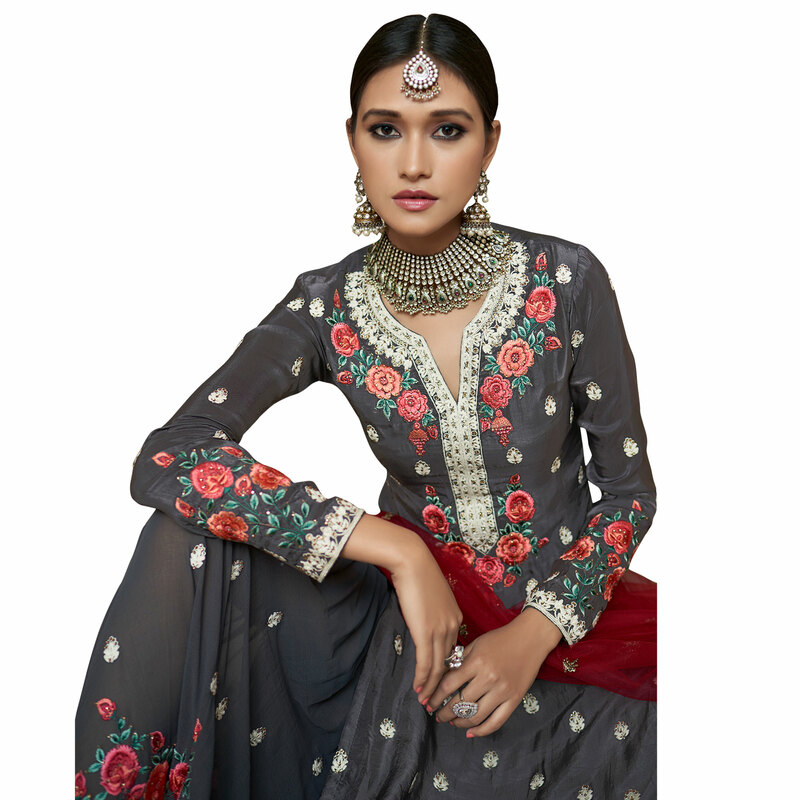 Be an angel and create and ascertain a smashing affect on everybody by wearing this fantastic dark gray colored uppada silk palazzo suit. 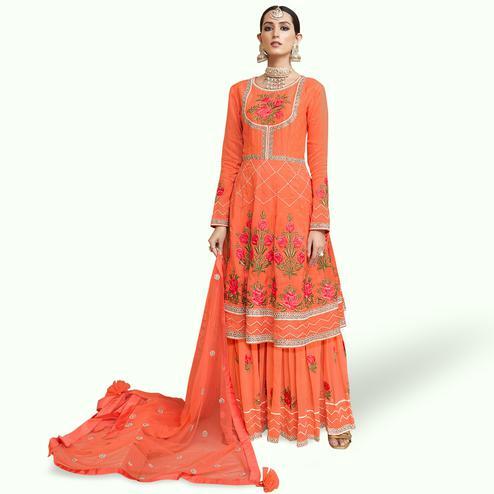 Comes along with heavy embroidered stitched faux georgette bottom, santoon inner and embroidered netted dupatta. 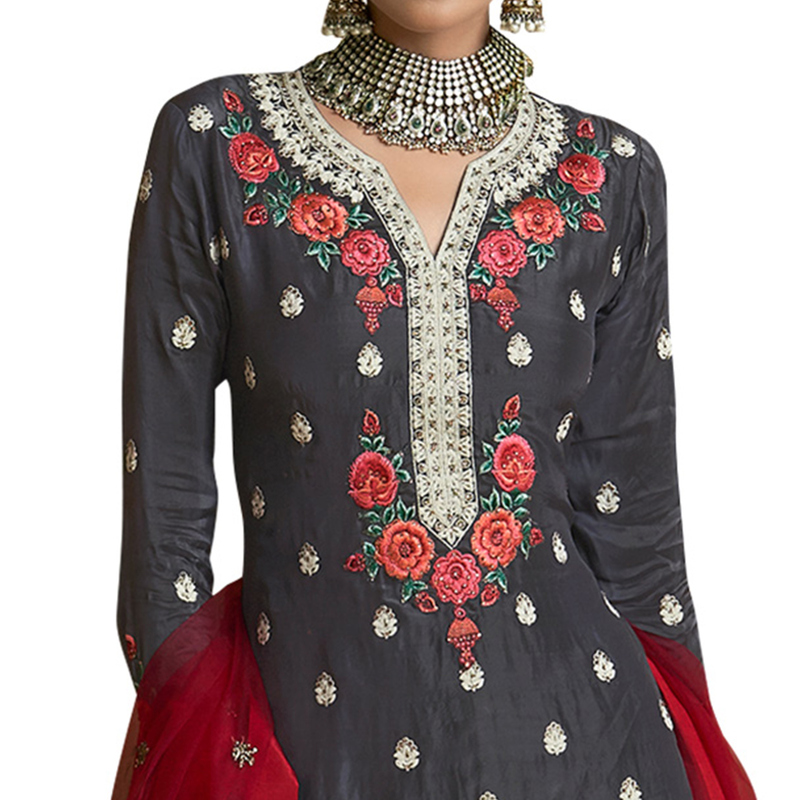 The beautiful stylish palazzo pattern uniquely crafted heavy embroidery with lovely flare that is beautified with heavy embroidery makes this dress perfect for a modern woman. Specially designed to wear for wedding functions, receptions, engagement ceremony and family occasions where you want to be center of attraction. Team it with lovely accessories to make your looks more beautiful. Note:- The actual product may differ slightly in color and design from the one illustrated in the images.